Hello and welcome to the 73rd installment of the SWD. Free Syrian Police trained by Turkey entered Al-Bab and are prepared to take control of city’s security and stability from Free Syrian Army. Turkey shelled a number of SDF-held villages in Afrin canton west of Azaz, SDF retaliated by shelling area around Azaz. Clashes erupted between Turkish Army and YPG around Al-Darbasiyah village after the former allegedly targeted latter’s positions. Clashes quickly spread to surrounding villages of Jitel and Aradah. YPG released footage of them targeting two Turkish tanks with ATGMs, one of the missiles appears to have missed the tank and hit the earth berm while the other one successfully hit its target but damage done to the tank is unknown at the moment. 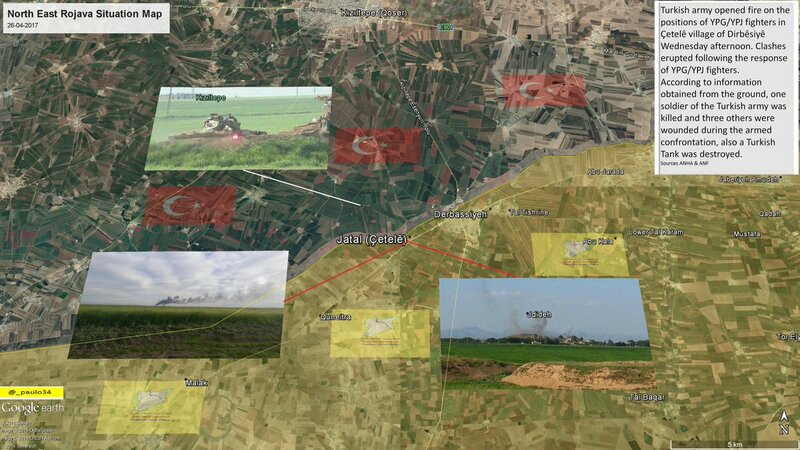 Casualties have been reported on both sides but the sources do not agree on the specific number of casualties, Turkish casualties vary between 1-3 killed and 3-5 wounded while YPG‘s are at least five killed. Pro-Turkey sources claimed four YPG vehicles and one headquarters around Al-Darbasiyah village were destroyed. Yesterday’s counterattack by rebels in northern Hama didn’t achieve the wanted results as they didn’t even manage to keep the alleged gains made, according to pro-rebel sources SAA recaptured by Masasnah while pro-government sources state that SAA never lost Masasnah and rebels’ attack was repelled, either way it is agreed that Masasnah is now under SAA control. SVBIED that started yesterday’s counterattack was conducted by a foreign fighter known as Aleb Arsalan al-Turkistani. 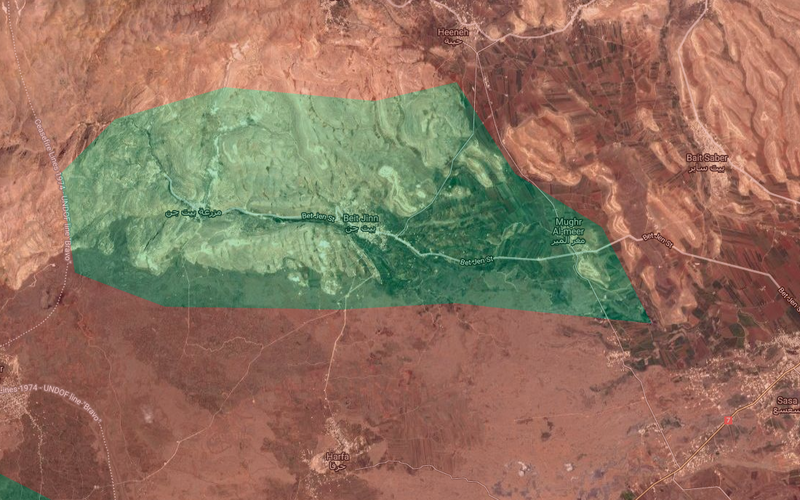 Situation around Al-Zilaqiat is once again contested with pro-government sources claiming control over the area while rebels claim to have repelled fourth SAA attack on it. SAA‘s capture of Al-Zilaqiat should be kept as unconfirmed until they release footage from it confirming their control over it. Rebels continue to use ATGMs as a major part of their “active defense line”, five missiles were launched today targeting SAA near the front line. Three of these ATGMs hit Masasnah, Free Idlib Army destroyed a Konkurs launcher with a TOW, Jaysh al-Izza targeted SAA‘s ATGM position also with a TOW missile and Jaysh al-Nasr destroyed a truck transporting a tank once again with a TOW missile. Remaining two ATGM strikes occurred north of Souran and both of them were done with a Fagot and by Free Idlib Army, one strike reportedly targeted a group of SAA soldiers while the other one targeted an ammunition depot and a group of SAA soldiers, from the footage released it is possible that a couple of soldiers were killed in the strike. Other claims by rebels include Jaysh al-Izzah’s destruction of a vehicle and a number of SAA casualties by a mortar in Masasnah and Jaysh al-Nasr’s Grad shelling on Halfaya once again claiming a number of SAA casualties. 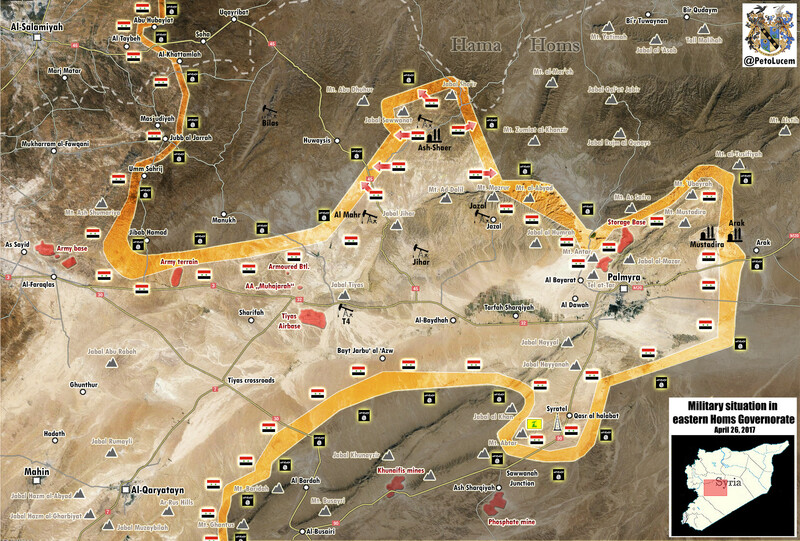 SAA captured Al-Shaer gas field and Tall Sawwan from IS northwest of Palmyra, clashes are continuing around Jabal Sawanah and SAA reportedly holds the southern part of the mountain. Rebels have repelled the latest SAA attack on Qaboun pocket and allegedly destroyed a ZSU-23-4 (Shilka), Faylaq al-Rahman released footage showing one SAA soldier captured during the failed attack. Pro-government sources claimed SAA advanced in the eastern part of Qaboun pocket and captured five building blocks, either this was a separate attack focusing on different area or these reports are false. Yesterday SAA attacked rebels’ positions in the eastern Damascus desertous area towards Badia al-Sham. SAA advanced and reportedly captured a 120 square kilometers (46 square miles) area towards Dirat al-Tulul. 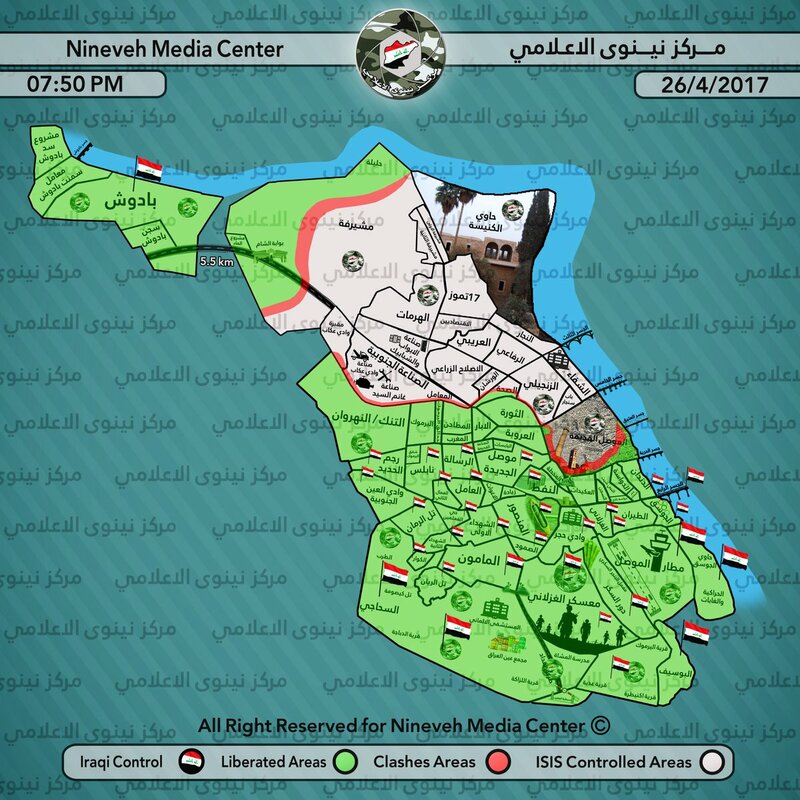 Rebels captured this area on 27th of March after IS retreated from the area. SAA reopened Beit Jinn front by attacking Dahr Aswad area near Maghar al-Meer, area captured is reportedly 400 meters (437 yards). Beit Jinn pocket was quiet since 15th of February when Ahrar al-Sham launched a raid against SAA position at Mount Hermon. 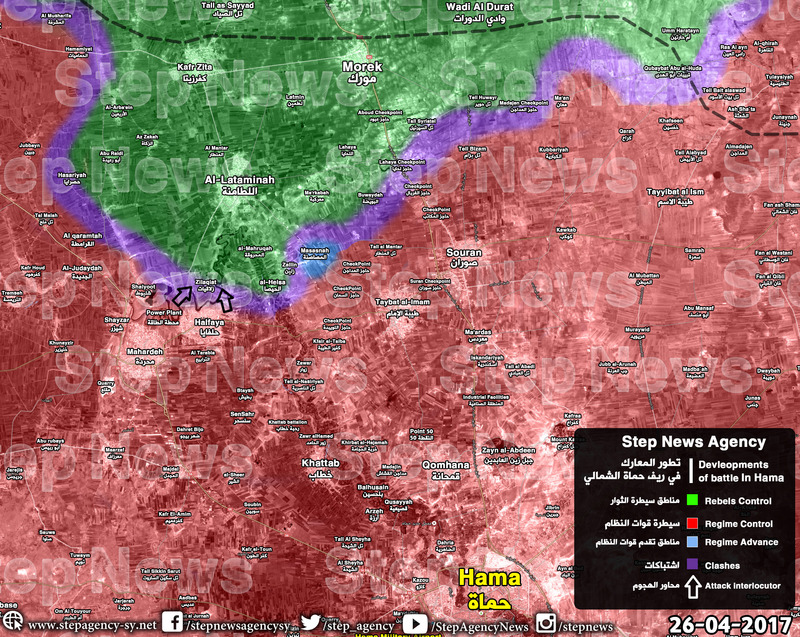 Approximate situation in Beit Jinn pocket. Source: Interactive Rurikmap which can be found here. IS media outlet Amaq Agency released a statement claiming four CJTF-OIR‘s airstrikes accidentally targeted Iraqi Army’s positions on the outskirts of Bab al-Toub neighborhood in Old Mosul district. Take this statement with a grain of salt since CJTF-OIR is still silent on the subject and they usually report and thoroughly investigate any airstrikes that mistakenly hit civilian or ally targets. Iraqi Army and Al-Hashd al-Shaabi (Popular Mobilization Units) started a counterinsurgency operation in Mutaibijah east of Samarra in Salah-al Deen governorate. Village of Mutaibijah has been infested by IS sleeper cells for quite some time and since it is located on the border between Diyala and Salah al-Deen governorates it has been threatening security and stability in both governorates. Operation is backed by Iraqi Air Force which carried out airstrikes on IS positions in Mutaibijah reportedly killing more than 30 fighters and destroying multiple vehicles. According to Iraq Joint Operations 35 IS VBIEDs were destroyed and 87 fighters killed during the first day of Mutaibijah operation, furthermore 17 explosive vests were seized, 25 IEDs defused and 13 IS hideouts, a tunnel system and a VBIED factory destroyed. Second day of Al-Hashd al-Shaabi’s operation made important advances against IS around Al-Hadhar firstly capturing Saadan and Saidiyah villages east of Al-Hadhar. Then north of Al-Hadhar Hajar villages was captured and south of it Um Kareez and Ghanim al-Awad villages, after these advances ancient city of Hatra and Al-Hadhar were surrounded by Al-Hashd al-Shaabi. Ancient city of Hatra was then liberated and clashes still continue in Al-Hadhar as Al-Hashd al-Saabi launched an assault on it. Before Al-Hadhar area was encircled a number of IS commanders and fighters fled from it towards western Nineveh desert and may have possibly escaped to Syria. However, Iraqi Air Force targeted IS fighters trying to flee from Al-Hadhar area towards Syria reportedly killing more than 25 of them. Peshabur (Semalka) border crossing closed yesterday by PYD between northeastern SDF-held part of Syria and Kurdistan Regional Government in Iraq has reopened again. On the 25th of April 2017 CJTF-OIR has conducted 19 strikes in Syria. CJTF-OIR‘s main focus in Syria at the moment is Tabqa-Raqqa-Deir al-Zour region where they did 16 strikes supporting SDF‘s operation against IS destroying 10 IS oil-processing equipment items, four IS fuel trucks, three IS wellheads, three IS command-and-control nodes, a fighting position and a heavy machine gun; and suppressed two IS tactical units. 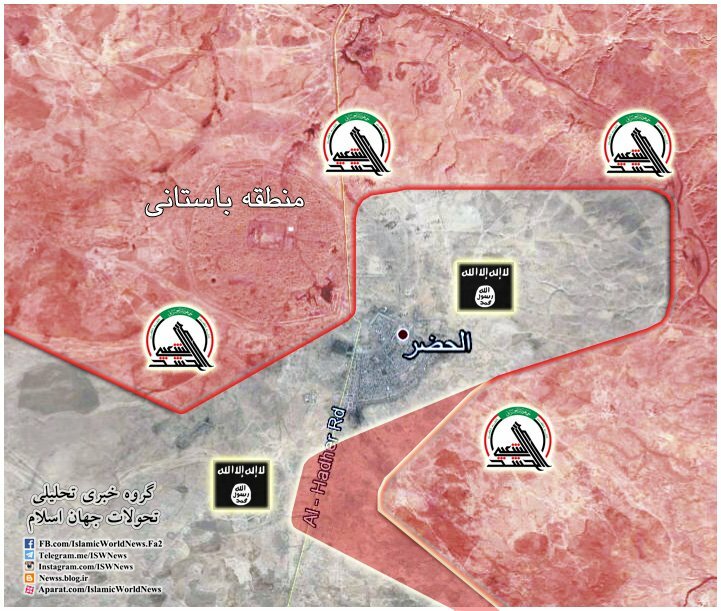 Other areas where three strikes occurred are Abu Kamal and Al-Shadaddi destroying five IS wellheads. Full report on CJTF-OIR strikes conducted in both Syria & Iraq can be found here.